Why do builders hire architects? An architect plays an important role in creating a building that is aesthetically pleasing, structurally sound, and meets the needs of a customer. In many cases, a builder will hire an architect to help a customer fit a building to an architectural style or to create an innovative concept. 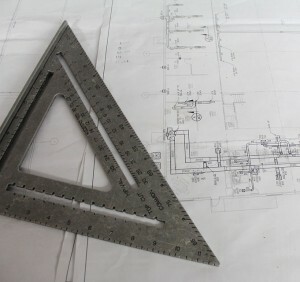 Builders understand the importance of the overall vision that an architect can provide. Here are some of the advantages that an architect can give to a builder. Whether you are a builder who is planning a new housing development, or in an established neighborhood, builders can benefit from using an architect to help make relevant designs. Architects can create a housing development with three or four different styles of homes that, when placed together, give the best of both variety and consistency. Design elements and the different periods are a specialty of architects, and they can help a builder meet neighborhoods conditions and can maximize the value of a new home. Light is something that can be hard to come by in an area with a lot of tall buildings, tall trees or cloudy skies. Architects can find the direction and strength of light on a piece of property, and design a home to maximize the brightness, add warmth to certain rooms and increase the desirability of a completed home. Conversely, in hot areas, architects can find ways to take advantage of light and add shade elements to keep a home cool and breezy. One of the biggest values of a building is often the view that it provides. An architect is trained to look at the big picture and to build a home that maximizes opportunities to see that view, plays on the themes that the view provides (mountains, ocean, farmland, city skyline, etc.) and makes you feel a part of something grander outside even as you are snug in your home or office. For more information, contact USI online to find a branch near you and get a free quote. USI believes in excellence in every step of the process and ensures timely completion and quality of service, time after time.